Its another giveaway! 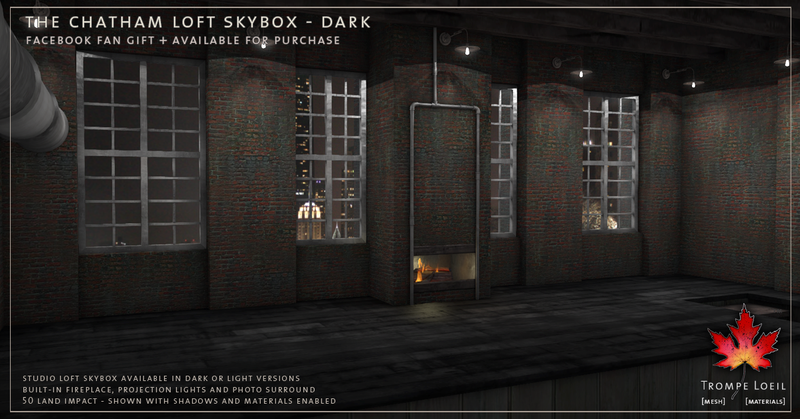 Like Trompe Loeil on Facebook and get a code redeemable in our Mainstore inworld to receive both Light and Dark versions of our new Chatham Loft Skybox! This special offer is only available from May 11 through May 18, so don’t delay! 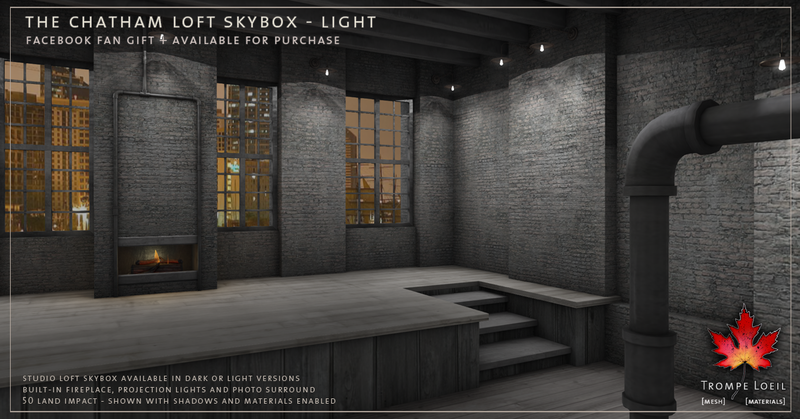 This new fully-baked loft skybox is a single urban room with a fantastic view (we include surround and no-surround versions) and includes projection lighting, working fireplace, and lots of fun spaces to decorate. 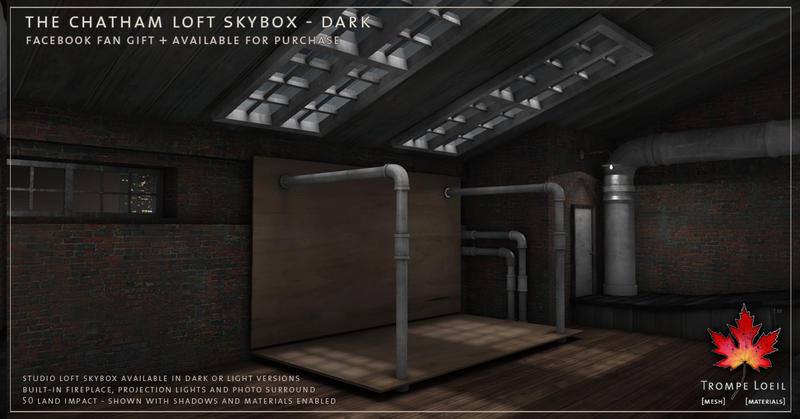 Great for photo backdrops, working areas, or your own private city getaway! Only 51 Land Impact. Not on Facebook? 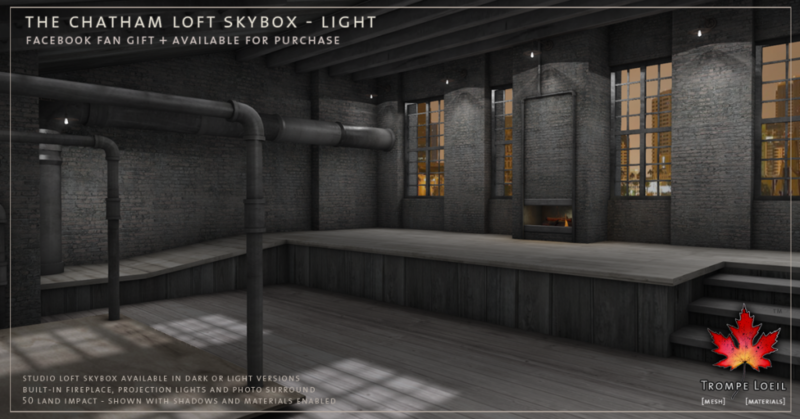 No problem – purchase your favorite version of The Chatham Loft Skybox in our Mainstore for the low price of $L250 per version! 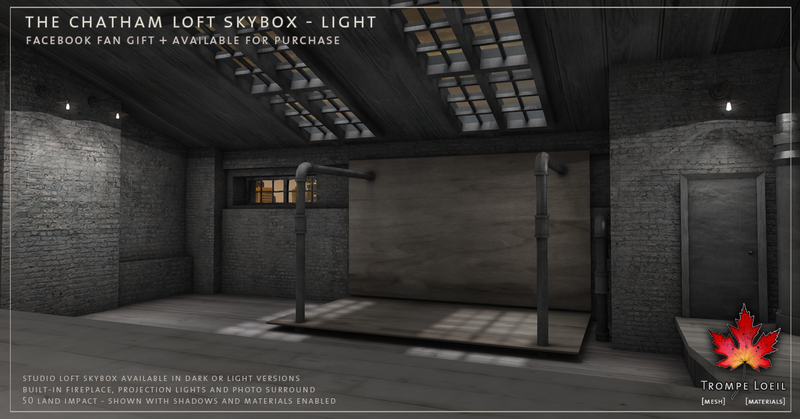 Check them out before you buy – we have inworld demos set up on site, with landmarks available at the kiosk.